Fullbright, the independent video game development studio that is best known for developing and publishing the mind-boggling and award-winning Steam title, known as Gone Home, announced at E3 that their newest game,Tacoma,will reputedly be debuting on the Xbox One and PC sometime in the early months of 2016. Its main protagonist is taken to an enclosed and unfathomable atmosphere, which happens to be extraordinarily similar to Gone Home's unearthly and sinister environment. However, both of these games consist of multiple characteristics that make them each unique from one another. Let's take a deeper look into Fullbright's upcoming eerie first person experience, Tacoma. Instead of being taken to an abandoned 1990s mansion, Fullbright's newest game takes place 70 years in the future in a lifeless research facility orbiting around the deepest reaches of space. Players take control of a female space explorer named Amy Ferrier, who was sent to search for missing crew members who mysteriously vanishing without a trace. Amy receives an abundance of assistance from her computer whom she calls Odin. Almost immediately after the newest trailer emerged, many began to compare the style of art-decor with BioShock's Rapture. However, story-editor Karla Zimonja and creative partner Steve Gaynor worked with 2k games for a myriad of years, so it isn't too shocking to see similarities between the two games. For a more detailed look into this title, I have provided the most recent teaser trailer below. Players progress through the game by discovering digital recordings that help to direct the player in the right direction. "We're letting the player explore the environment on their own, but still letting the environment guide them ... this might be interesting over here. We work in collaboration with the player to help them find all the cool stuff in the game, without forcing their hand," said Steve Gaynor in a recent interview with Polygon. Having the opportunity to explore every single diminutive detail makes me immensely feverish. As with Gone Home, you will generally worry that you may have missed something that could have been crucial to the plot. Gone Home tells a story that consistently keeps you at the edge of your seat. It is impossible to express how astonishing Gone Home's story was. 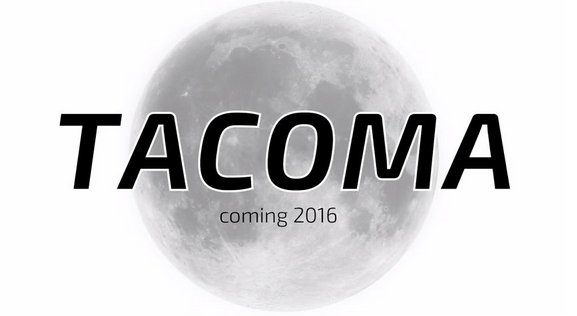 As a result, I have particularly-high expectations for Tacoma. I look forward to hearing more information regarding this upcoming title, and I will most definitely be keeping an eye out for more details. Please leave your questions and concerns in the comments, as I look forward to in regards to them.